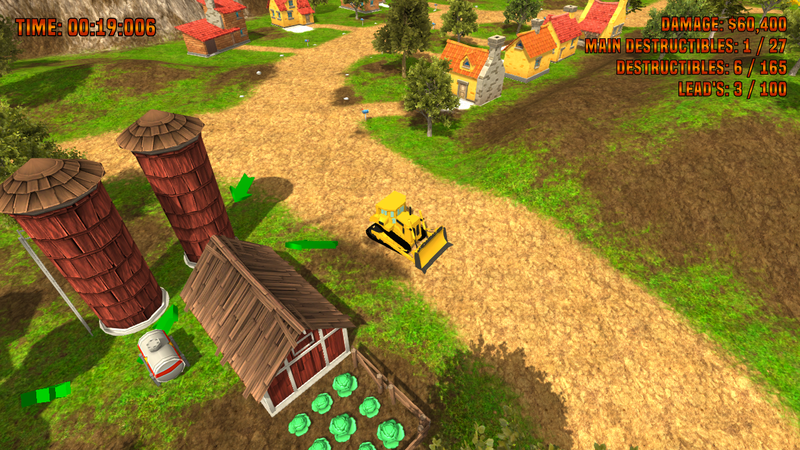 This playable demo has 3 main levels (2 Bulldozer and 1 Attack Copter) as well as 2 bonus levels. These can be found by exploring the main demolition levels and activating the satellite required to unlock them. 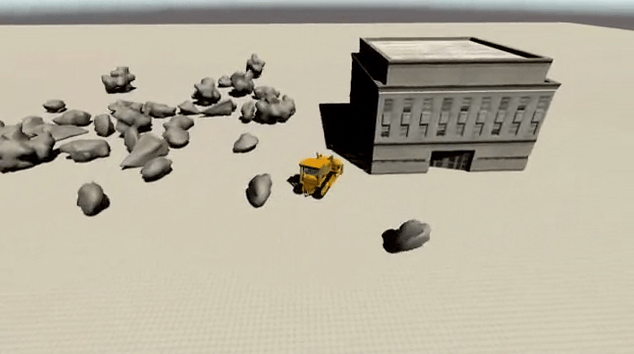 The goal will be very familiar to those who have played Blast Corps – clear the path for the runaway semi trailer. Obviously I will hone the back story as to why this needs to be done (Terrorist attack? Experimental weapon lost in transport?) but I was more concerned with getting the functionality in place for it first. Download the playable preview here! The controls can only be remapped at this point before starting the game (select the Input tab where you configure the graphics and window settings), otherwise you can view the controls in the options and title menus. So please give it a shot and let me know what you think! I welcome any and all constructive criticism: besus@StudioBesus.com. If you find any issues or bugs, please submit any details available for it using either the bug report form here: StudioBesus.com or email me direct: besus@StudioBesus.com. Tagged Blast Corps, Crash Co, Demolition. Bookmark the permalink.